Get Module 1 & 2 of Lone Sorensen’s Japanese Lifting Course! Give amazing results, gain more clients, get paid! Normally Module 1 costs $600 and Module 2 $450. Together that makes $1050. In this special combination though you receive both Modules for more than 150$ less… However, if you don’t sign up for these 2 amazing courses, you might end up missing out on a ton of happy and recurring customers and money! Module 1 has a price of $600. Module 2 is worth $450. IMPORTANT NOTE: Customers living outside of the EU may have to face extra charges at customs for the delivery of their product. We don´t take responsiblity for these costs and suggest to investigate before making a purchase. Sorensensistem™ Japanese Cosmo Lifting is a natural, non-surgical, face-lifting beauty treatment developed and taught by the internationally renowned reflexology expert Lone Sorensen. How does Japanese Lifting work? It utilizes a combination of points on the face related to the meridians from Oriental medicine, reflex points from the Vietnamese method and other types of points to stimulate and treat skin quality. Techniques that also directly impact the muscles, tissues. Furthermore it is a fantastic muscle technique especially for the eyes, – opening the eyes by increasing blood circulation and preventive to keep the eyes and sight in best health conditions. Great results bring a great amount of happy customers who come back and tell everyone about your business and skills! be fully booked 3 weeks in advanced? have your customers beg you to fit them in this week? earn so much money that you can afford 3 big holidays a year? 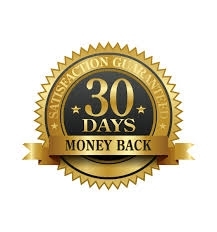 offer your customers the most effective natural beauty treatment in the world? be proud of the results you get and have your clients tell you how awesome you are? be known for this amazing treatment you give? make your dream of a successful beauty practice come true? a health conscious person who is interested in working with facial reflexology to improve people´s aspect and wellbeing? 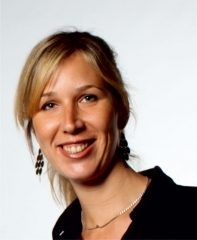 Line is the woman behind the administration of the Cosmetic department of The International Institute of Reflex Therapy Lone Sorensen – treatments such as the Japanese Cosmo Lifting, Cosmo Facial, CosmoBody and Weight Management. Very effective and natural methods for Cosmetic, Spa and Relaxation treatments blissful for body, mind and spirit. Line also handle development, production and quality control of the unique natural raw materials, Lone find traveling around the World in the rainforest and desert. The International Institute Lone Sorensen offer 47 natural Health and Skin care products, all based on recipes from local aboriginal in South America and Arabic countries. Line has grown up in a world of therapy and have been inspired since she was young. She has seen the amazing Reflex Therapy method being developed, being performed and becoming a reality in the world. Her aim is that these unique methods and 100 % natural products become even more known. I´m Lone Sorensen and I´ve been helping people and animals all around the world for the past 36+ years traveling the world to study and teach all about natural medicine. My speciality lies within Facial Reflexology and when I saw the amazing results I got with Color Light Therapy using the Tweaklite many years ago I took it on as a tool to improve my client’s health. 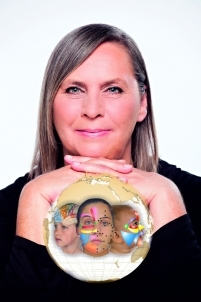 Lone Sorensen is the director of the International Institute of Facial Reflexology and has spent years dedicated to the teaching of reflexology in Denmark, Sweden, Finland, the Netherlands, England, Japan, China, Australia, the US, Mexico, Argentina, Slovenia, Bosnia, Croatia, Poland and Spain, where she teaches in coordination with more than 50 instructors. Her concepts and methodology have been integrated into the research conducted at the Filadelfia Kurhuset State Rehabilitation Center of Denmark for patients with brain damage and dysfunction as of the year 2000. In March 2001, Lone was honored by the OMHS with three titles of nobility; thus, making her the first reflexologist in the world to receive this distinction for her work with Zone therapy and facial, – hand- and foot reflex therapy. Lone has always helped persons improving their live and thousands of clients can confirm that. She has also been interviewed on several TV shows. Why sign up for Japanese Lifting? Japanese Lifting is the ultimate beauty and rejuvenation method that helps you and your clients to look and feel healthier, younger and more energtized. Within the first session you will notice a visible difference in your face and skin and feel renewed! Once Japanese Lifting, always Japanese Lifting… when your clients realize that you can give them amazing results and that there is a way without surgery they will be yours forever. I am so grateful for learning facial reflexology + japanese Cosmo Face lifting- it has really changed my practice and I have only been practising reflexology since 2013. 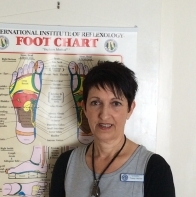 To offer clients an alternative to foot reflexology or a mixed treatment is such a unique experience. Many clients and fellow reflexology practitioners comment about how quickly the Facial Reflexology + JCL treatments take them to that space of DEEP RELAXATION. I have been seeing a lady, who lost her control on a half of her face. She first told me by email "I have done everything I could do but my face doesn't get back to what it used to be. I miss my smile." Today was our 5th session after 1 week off (without a therapy). First thing she told me today was "I missed your treatment! I tried to book an appointment last week as soon as I landed Hong Kong but you were already booked! My friends also told me that the half of my face started looking better!" We did 4 sessions of Lone Sorensen's Facial Reflex Therapy. And then today... I decided to give her a Japanese Cosmo Facial session. 1 hour later... she and I were so happy because we saw & felt a big improvement on her face - more than ever! Intention & dedication - we aligned these two points at our very first session. We have "where we want to be" but we remain "JUST TO BE". 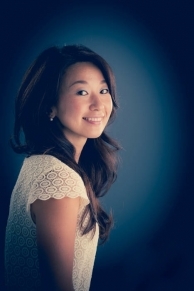 The benefits of Japanese Lifting are many and all without surgery! The results that can be noticed are fast and impressive. This method also makes a wonderfully relaxing treatment to receive and also balances the full body’s functions. Depending on your clients’ needs and preferences oils, creams or an aromatherapy can be used for the Japanese Cosmo Lifting Treatment. Amazing results! Over a period of only a few treatments the skin appears rejuvenated, and wrinkles will be dramatically reduced without the need of painful surgery. A natural instant facelift can be achieved with this treatment and clients return again and again for the excellent results. It is well-known that facial expressions, stress, pollution and modern life over the years contribute to ageing, this causes muscles on the face to lose their tone and elasticity. Japanese Cosmo Lifting is the solution! Japanese lifting consists of techniques that directly impact the muscles, tissues, organs and other structures of the body. Furthermore a fantastic muscle technique especially for the eyes, – opening the eyes by increasing blood circulation and preventive to keep the eyes and sight in best health conditions. Theory of chemistry responsible of skin flaccidity, lack of tone of facial musculature and tissue, blood circulation and collagen. Improves health by a deep stimulation of acupressure points that also influences the emotional and hormonal state. 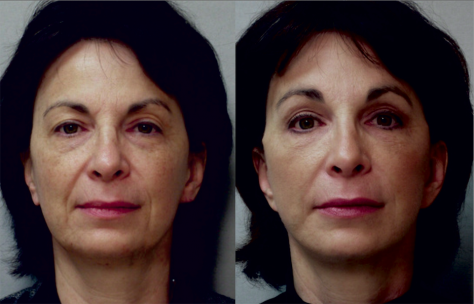 Japanese Cosmo Facial Rejuvenation course module 2 incorporates a unique blend of highly effective techniques. Japanese Cosmo lifting method module 2, offer a range of techniques to relieve deep muscles tension, increase the blood circulation, balance the body’s chemistry, also helps releasing harmful toxins, giving the facial muscles an extra profoundly face lift. With techniques of module 2 Japanese Cosmo lifting it is also possible to relieve emotions and to bring the hormonal system in perfect conditions. 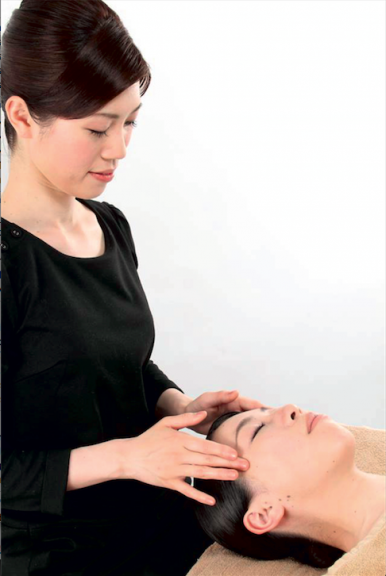 Complementary techniques from Chinese and Japanese Acupressure points are used on the face, also individual South America muscle stimulation and the creation of Lone Sorensen special Eye Lifting. These new therapies are becoming increasingly popular! We offer this course in two different formats - Distance and Online course. See below which of them suits your learning style best and decide how to study Japanese Lifting... with a paperback manual or a downloadable pdf. Watch the DVD´s in the comfort of your home and at your own pace. *The course is completed after sending us the exam: 1 case study of 10 treatments – described in a word document and sent by email to the International Facial Reflexology Institute in Barcelona. After passing the exam a diploma will be issued to you. Watch the online videos in the comfort of your home and at your own pace. *This Product Kit is worth $281 and will kickstart your business and beauty - shipped home! You will receive 2 FREE months access to our ASK Lone membership and will be able to attend live webinars to ask Lone any questions. You will also receive a Diploma* and all the information you need to use the Japanese Lifting Reflex Therapy method on yourself and your clietns. Of course you can ask for a refund if you feel this is not the right course for you. If you do this within 14 days after purchase, you will get a 100% refund (excluding postage and other costs like customs charges if they apply) once you have shipped the course material back to us on your own cost. Co-sponsored by the North Carolina Reflexology Association and The Center for Healing Arts. by the American Reflexology Certification Board.